Collection of Problems in Classical Mechanics presents a set of problems and solutions in physics, particularly those involving mechanics. The coverage of the book includes 13 topics relevant to classical mechanics, such as integration of one-dimensional equations of motion; the Hamiltonian equations of motion; and adiabatic invariants. 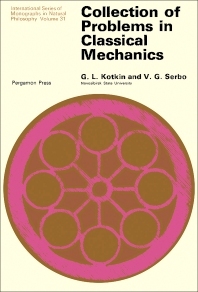 The book will be of great use to physics students studying classical mechanics.